A Key West delight, The Frances Street Bottle Inn is among the best Pet friendly Bed and Breakfast in Key West. 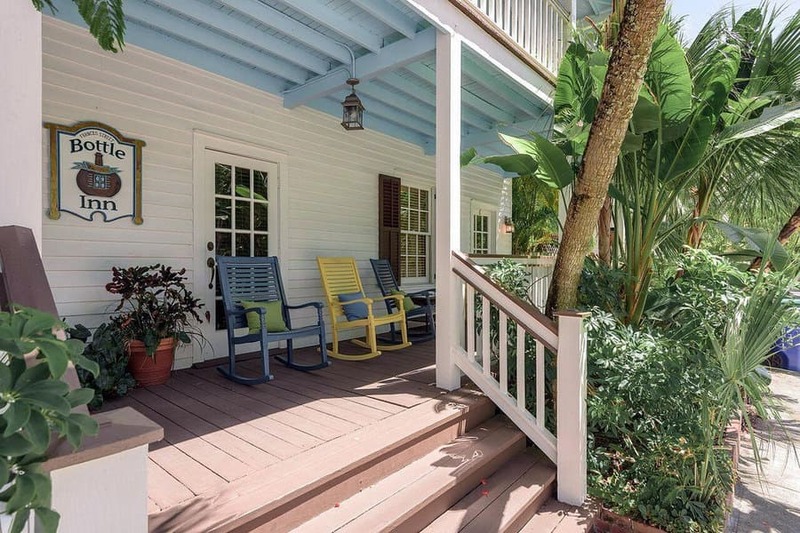 Built in the traditional Conch blend of European and Caribbean architecture with gracious porches and patios, the Frances Street Bottle Inn offers luxury and first class service not expected. Enjoy the beautiful weather, laid-back lifestyle and the Host's collection of antique bottles. Breakfast and happy hour are a "must do experience" at the Bottle Inn.